Autumn is just around the corner and with it comes one of my favorite holidays: Halloween! My family and I love all things spooky and haunted, but keep things fun and a little less scary for our children and young trick-or-treaters, of course! 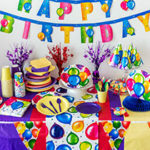 Surprising spooks are exciting and unexpected, plus they are great to integrate into your décor! This Halloween, set a creepy tone to your front porch using a few “unexpected” items from Dollar Tree. 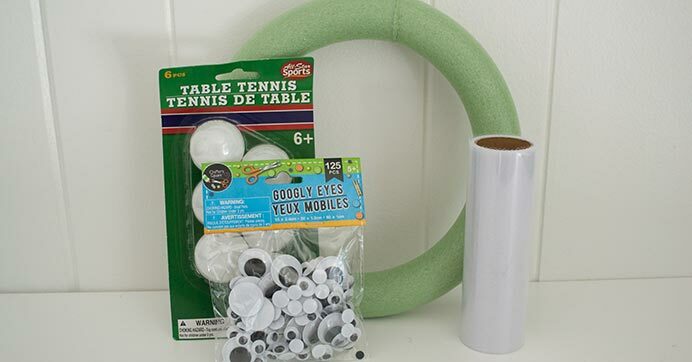 Wrap a foam wreath form in white ribbon, cover the wrapped wreath in table tennis balls, and finally, glue googly eyes to the center of each ball. 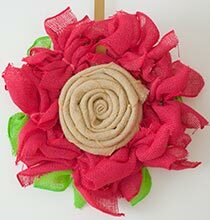 Once finished, hang this festive wreath on your front door for creepy vibes and your visiting guests will surely feel like someone is watching them! 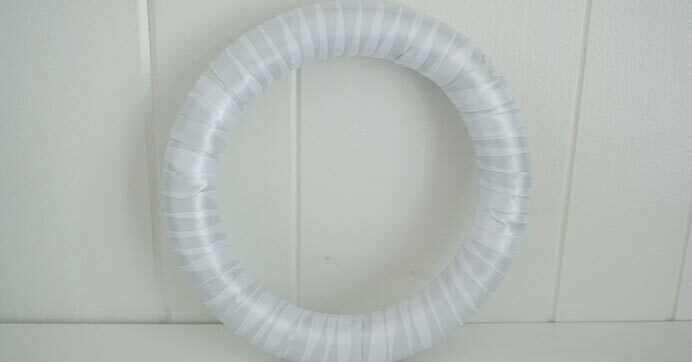 Secure the end of your white tulle ribbon to the foam wreath form with a dot of hot glue. 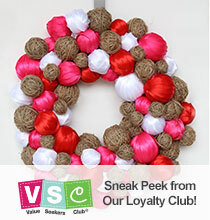 Wrap the ribbon around the wreath form, covering the entire surface. 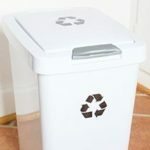 Secure the end of the ribbon with another dot of hot glue. 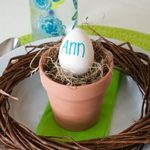 Place the ribbon-wrapped wreath on a flat working surface. 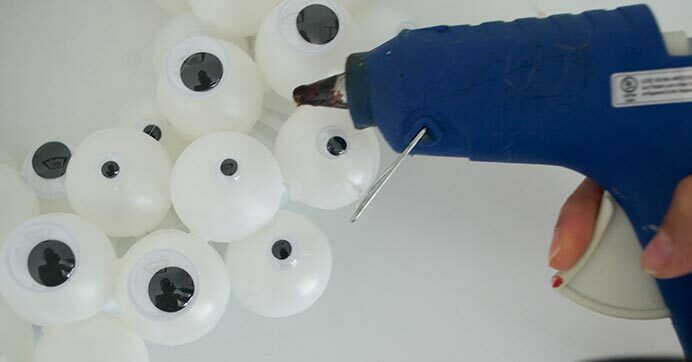 Begin gluing the table tennis balls directly to the ribbon with a dot of hot glue on each one. Arrange and glue them to cover the entire front of the wreath, leaving the back of the wreath form flat for hanging purposes. 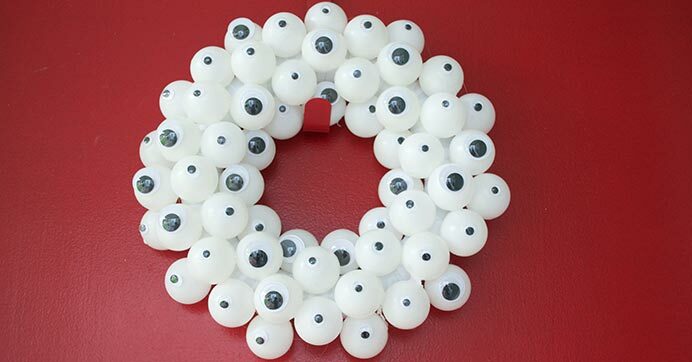 Once the front surface of the wreath is covered in table tennis balls, adhere different sized googly eyes directly to the middle of each one. Vary the eye-sizes for a spooky look! 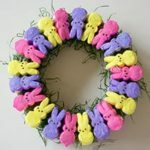 Hang your spooky new wreath on your front door with ribbon or a wreath hanger to creep-out your neighbors and guests! Shop Halloween décor and supplies online and get even more fun Halloween inspiration on our blog!